Plays rough. Cleans up nice. Put these good looks to work. 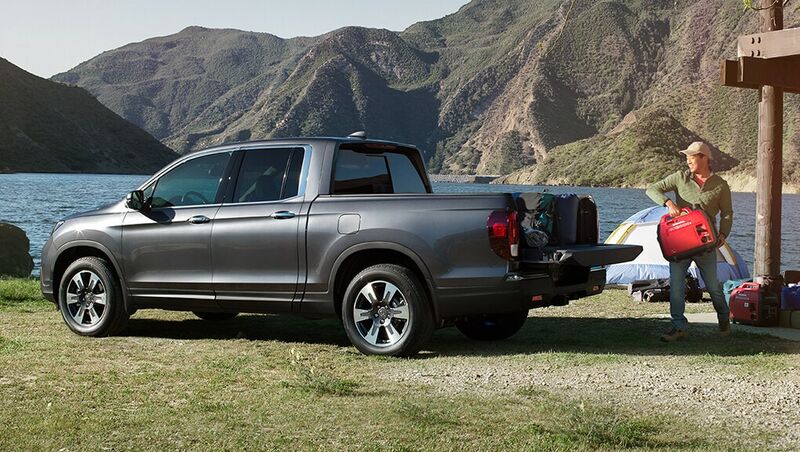 Fun and functionality come together in the stylish 2019 Ridgeline. 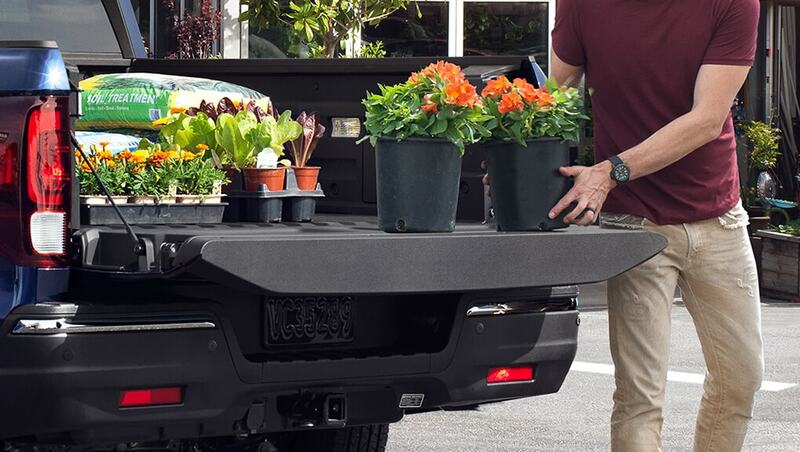 Its dual-action tailgate and lockable In-Bed Trunk™ help you put it to work, while the Truck-Bed Audio System™ ensures you have a great time while doing it. 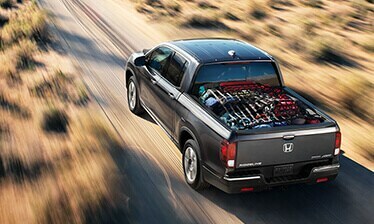 The Ridgeline balances play and practicality never before seen in a truck. Worry less about what you left in the bed. 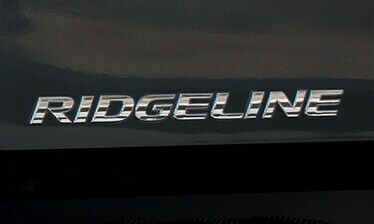 The Ridgeline keeps an eye on it. 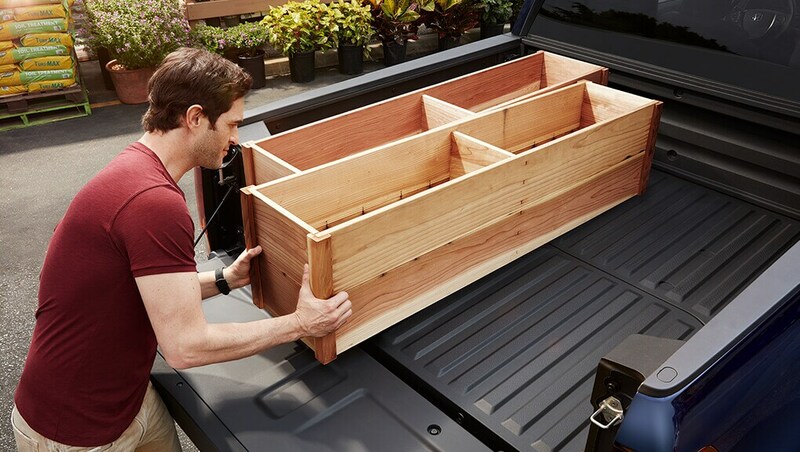 Whatever you need to keep out of sight just put it in the segment-exclusive lockable In-Bed Trunk™ and the Ridgeline is designed to help take care of it. 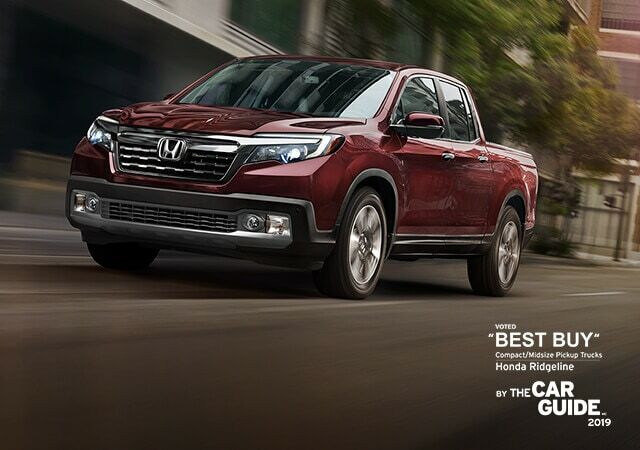 Everything about the Ridgeline works hard. Even the tailgate. 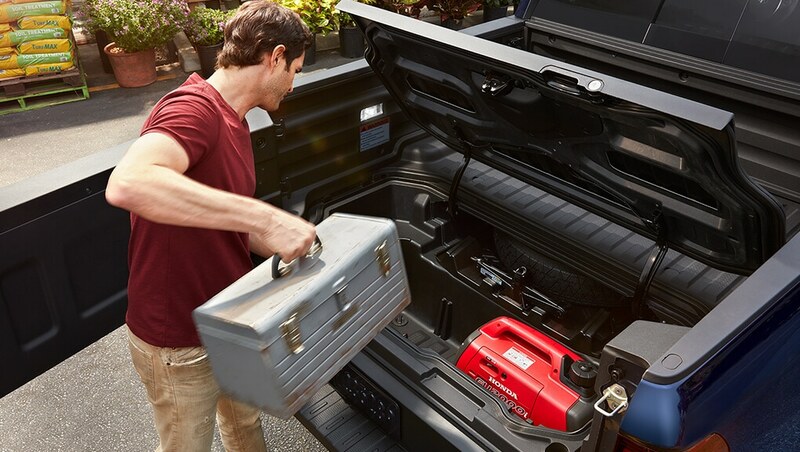 The dual-action tailgate can be pulled down to lay things flat or swung open to make loading it up easier. Long and wide truck bed. Don’t worry about what to bring. The bed is long enough and big enough (5’4” x 5’) to hold virtually anything you need. You’ll be happy to know that it has 4’2” wide flat bed space between wheel wells for you to haul 4x8 sheets of materials completely flat*. It’s the only truck in its class to accomplish this feat. *Please ensure that all in-bed items are properly stored, secured and carried in compliance with local laws. 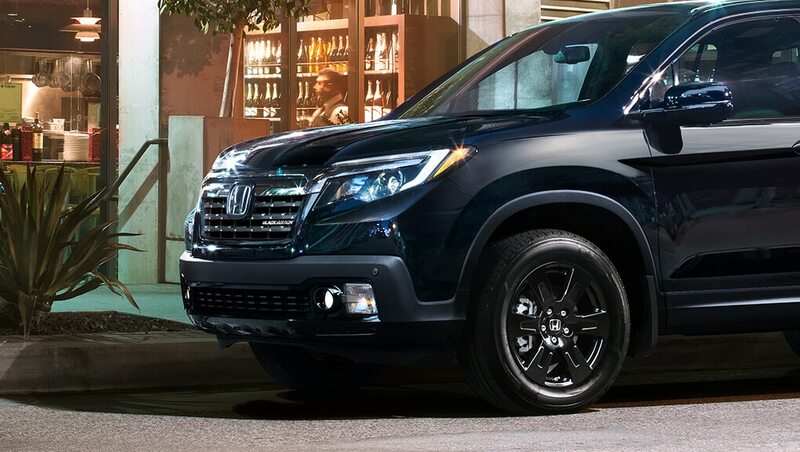 Even if you get rough, the Ridgeline is tough enough to handle it. 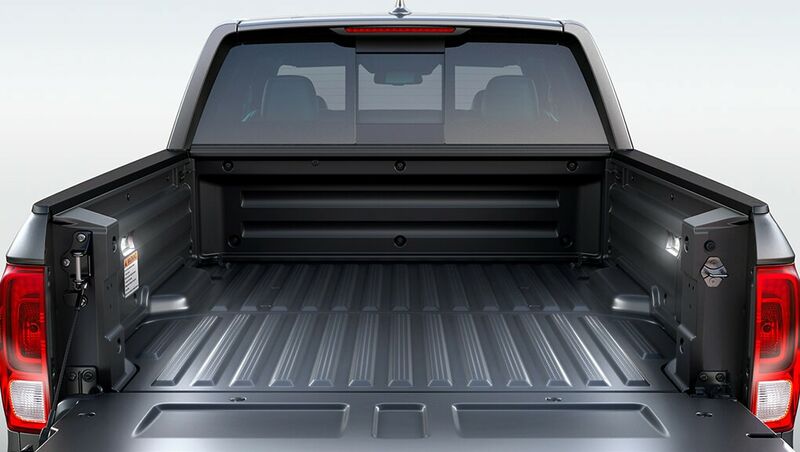 If you’re throwing 2x4s in the back or strapping in your dirt bike, the standard UV-stabilized and scratch-resistant bed helps protect your truck from dings or ticks. Eight 350-lb tie down cleats. No matter what you’re hauling, you’ll enjoy added peace of mind. Around back, eight heavy-duty tie-down cleats help make sure whatever’s there stays in place. When the day gets away from you, brighten up the night. Available projector-beam LED headlights help you see what’s lurking in the darkness and standard LED taillights help you stand out at night. 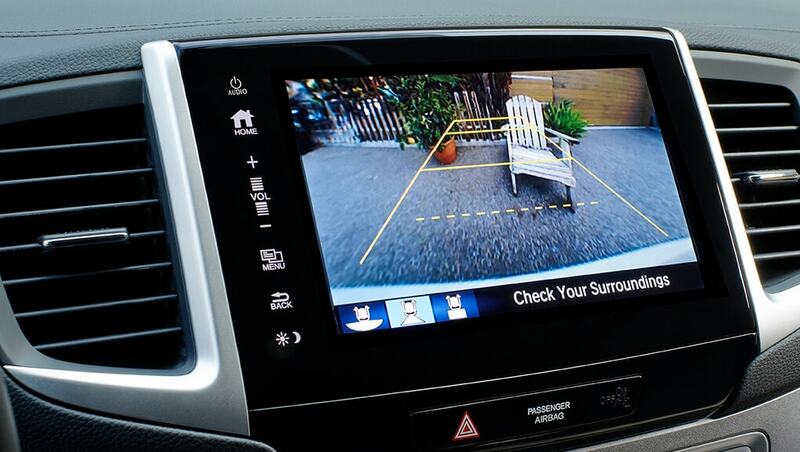 Once you’ve popped it in reverse, the multi-angle rearview camera* helps you keep a close watch on what’s behind from multiple angles: wide, normal and top-down. 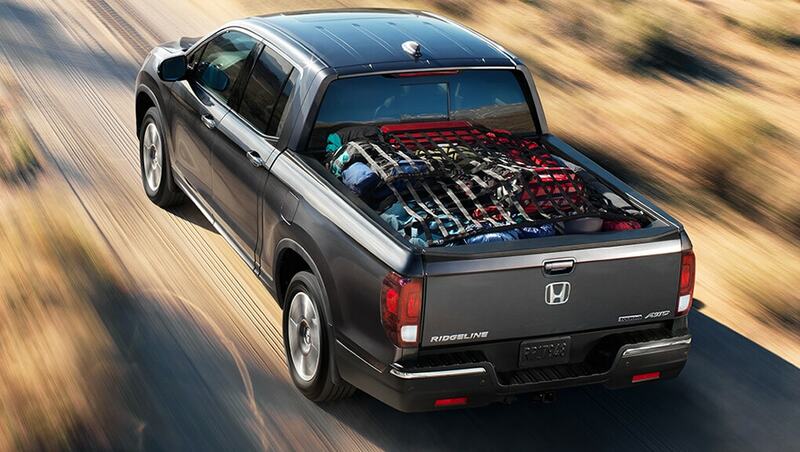 If you’re hooking up your Ridgeline to a trailer, it even helps you back up with ease to hitch up. Available power sliding rear cabin window with defroster. 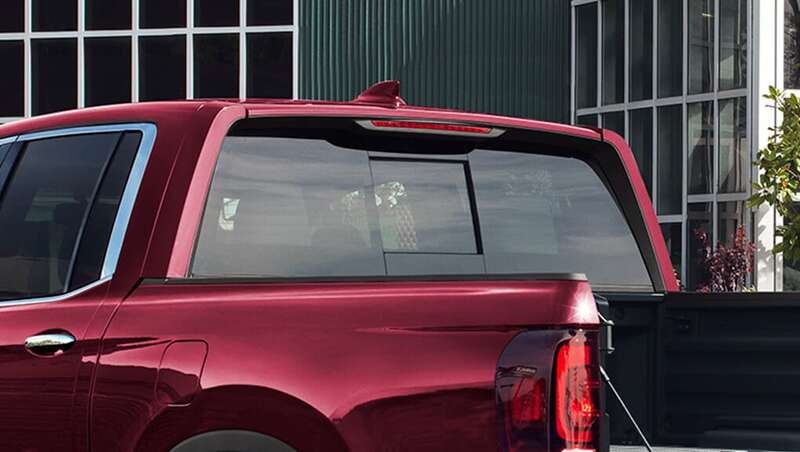 On those hot and stuffy days, the available power-sliding rear cabin window with defroster opens up to let some fresh air in. Plus, when winter rears its ugly head, it helps take care of the frost forming on your rear window.